I would like to summarize last few weeks of the 2008 and present what I was done and publish. July- First at all I would like to mention special edition of the French magazine Aero Journal about the German WW2 fighter plane Bf109G/K. This is 100+ pages publication and I have deliver fifty profiles of this plane. 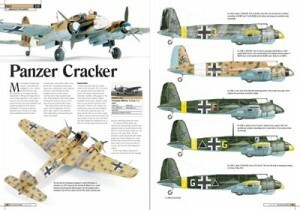 In the same time was released magazine Replic, also from France, with article about Fokker Dr.I on fourteen pages and one of them is with color profiles of this plane. August- famous British magazine SAMI has published set of my profiles of SAAB Draken on one page. This article was good demonstration of my capabilities for this job as well in this moment I have get agreement with this magazine for the permanent engagement as illustrator and in that moment there is only three days left until the deadline. In this three days I have managed to make one folder about this plane, I did not have anything in the moment, collect and arrange all available material and some of my scans and finally to swiftly arrange layout and make five profiles with caption. That was great test for me. September- historic magazine from France, Aero Journal, publish first of my profiles set made for the series Cocardes du monde 1936 â€“ 1945. Profiles show Hawker Hind from Afghanistan, Curtiss H-75 from Argentina, Hawker Hurricane from Australia and Dewoitine D.520 from Bulgaria. Idea of this Cocardes du monde 1936 â€“ 1945 series is to present the national insignia of the all air forces of the world. On the other side of Dover channel, in UK, magazine SAMI released my color profiles in even two articles. One is about the Messerschmitt Me 210 and 410 and another is Sukhoi Su-22. October- British magazine SAMI is out with two pages of my color profiles of US bomber Martin B-57, where is present in my usual manner, various models, operators and camouflage patterns for this plane. Also one small profile of Bf108 is published as a part of reply to one readers question. Aero Journal in France release new issue with new set of color profiles where is presented Bf109E from Bulgaria, Belgian Fairey Battle, Curtiss Wright CW-19R from Bolivia, Brazilian Curtiss P-40N and finally Canadian Harvard II. 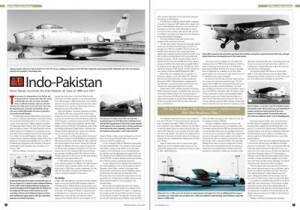 November- magazine SAMI publish two pages with color profiles of Lockheed S-3A and B Viking. Profiles contain various scheme and markings used by the operators. To regret during the flattening of image in Photoshop, one profile remained with one layer invisible and this caused that one profile did not have black panel on the nose. December- on my request magazine SAMI publish my apologize to readers and correct profile of the S-3A Viking. 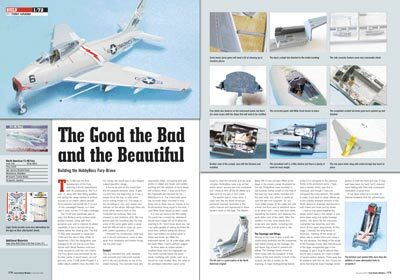 Except of this, in the same magazine was published set of the color profiles of the North American FJ-4 Fury. Material show various samples used in its operational life but finally when the material is published I have noted on the pile one excellent book about this plane delivered from Netherlandsâ€¦ and book contained some of great images and subject for possible profilesâ€¦ too late. In France was published latest issue for this year of the Aero Journal with new set of the profiles and this time was released Chilean North American AT-6, Mitsubishi A6M5 from China, Columbian Cornel PT-19, Cuban Grumman JRF-5 and Fokker D.XXI with Denmark markings. 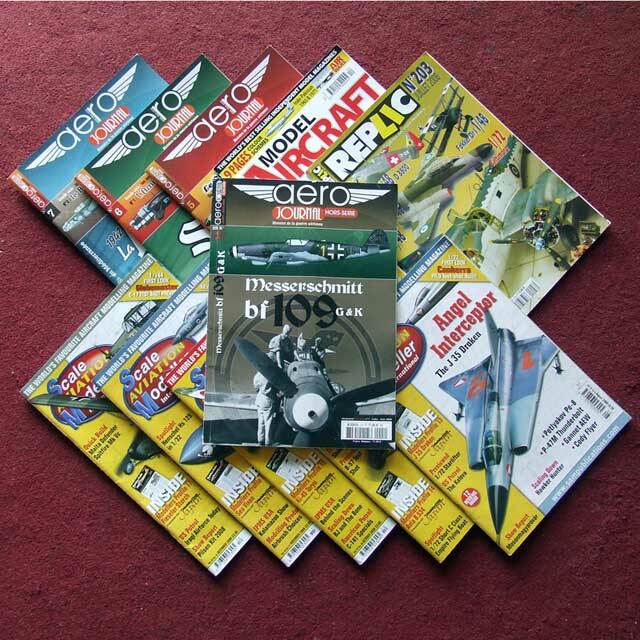 Again in Britain in the magazine MAM, the same publishing house as the above mentioned SAMI, published excellent article about the Indo Pakistan War 1965- 1971 and on 4.5 pages was published 23 of my profiles were was presented planes used by both sides. Classic Art- I did not work much in this field but anyway I have deliver some ten pencil art to the foreigner owner and also one oil painting, which is now display in one museum collection. New Years Cup- greatest honor was that I have been part of the Burek Team who have give full support to one very new competition in Serbia, and personally I was much engaged in the creating of the poster wallpaper for this event. The same event is prepared by the group of the outstanding plastic modelers and active members of the Burek Forum and the same event was credited as the best ever held on the territory of former Yugoslavia!! Most interesting is that one of the wallpapers was stolen and this is best compliment for me who have designed this wallpaper. And for the end I would like to note that I have deliver during the mid of December full color art material for the forthcoming book about Hawker Hunter and this book will be very soon out. I wish you all the best in the New Year!! Your artwork is faboulous.How can I download it for my personal use ? I’ve seen it in Scale AviationÂ Modeler magazine.